What’s the name of your brand and where does it come from? 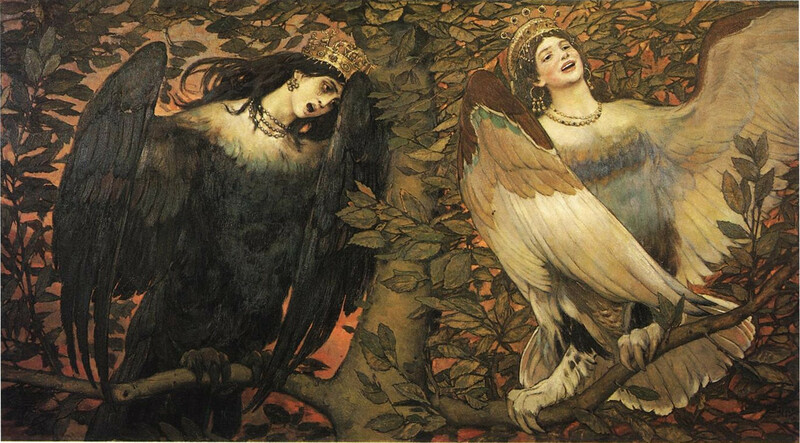 The brand’s name “Sirin” comes from an ancient Slavic legend of a bird of paradise that comes down to Earth on rare occasions as messenger of Gods. This creature is part woman and part bird. 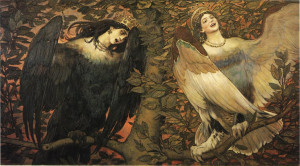 One of the best impressions of her, in my opinion, was made by famous Russian artist Viktor Vasnetsov in 1896, named “Sirin and Alkonost” (The State Tretyakov Gallery, Moscow, Russia), Sirin being the bird of Joy and Alkonost – the bird of Sorrow. The exquisite beauty, charm and delight of Sirin resonate in the conception and creation of brand’s jewellery. Each piece is meant to bring joy and delight, enchantment and pleasure, fascination and admiration. What do you stand for – What is your Mission Statement? Sirin is about being unique, spirited and empowered. It is about exuberance of expression and originality of vision, appreciation of art of creation and dedication to craftsmanship. Sirin is the jewellery of the Soul, unique, complex and inspired. What is the inspiration for your designs and your influences? There are a few: ancient mythology and history for one, philosophical and artistic movements – another. Nature itself in her many forms and colours. Works of the jewellery masters: Lalique, Fouquet, Gaillard, Giulliano, Boucheron, early Cartier, Tiffany and Buccellatti, Wislon, Cooper, Gaskin, Knox. Do you have seasonal ranges or themes? We do. The Atelier releases two collections per year. Collections are not related to seasons as such, rather Atelier aims to present its clients with a continuous development of its inspired visions and expressions. It has been observed by a number of prominent jewellers that there is a void, a certain disconnect between the world of fashion and jewellery. Almost every fashion house/brand are now producing their own jewellery, be it costume or fine, and we see some rather striking and inspirational pieces. Yet, the traditional jewellery houses do not seem that interested in following or developing this idea. Sirin JA are of opinion that this is a trend that will be growing and developing in the coming years, and that it may re-ignite the almost extinct concept of the jewellery houses that were creating and leading the fashion of jewels independently yet organically with the rest of the fashion world. Which are your favourite stones to use and why? This is not an easy one to answer as there are so many… Tourmalines – for their unrivalled spectrum of colours, emeralds – they are an embodiment of life and hope, rubies – for their depths of passion, opals as they reflect the colours and fire of all other gems, pearls – their delicate radiance and most unlikely origins, amethysts of regal purple that never fails to make an impact, sapphires of cornflower blue and orange-peachy-pink (that is called padparadscha) for their regal and yet so intimate touch. Each and every gem is special and has its own story to tell. The crucial point is whether one “hears” this story or not. To be honest, there are no gems I do not like by definition. It is the question of whether I like that particular gemstone or not. How does Sirin differ from other brands? Sirin is not a commercial brand – we do not aim to capture the market. Instead we focus on delivering exceptional jewellery to the customers who have their own, distinct sense of style, understanding and appreciation of the art of jewellery making and certain type of courage to experiment with the gems, alloys and shapes. Sirin is a Jewellery Atelier – we cater to the custom orders as well as release our own collections/lines. The number of pieces is always limited and strictly controlled, every item differs from the next. So our clients are assured that they will have a one and only jewel that was conceived and created especially for them and no one else.